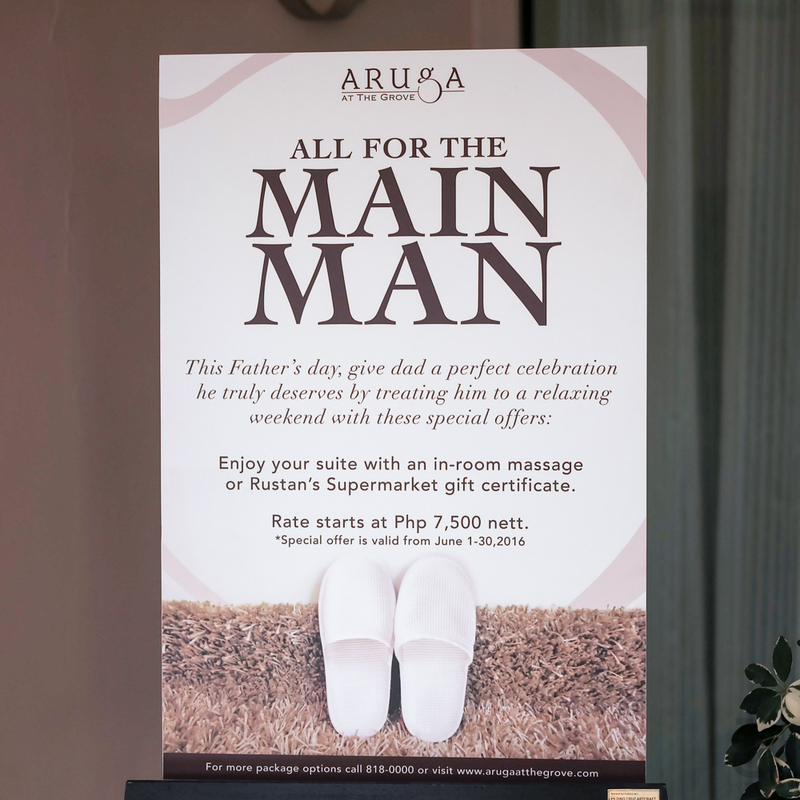 We celebrated Father’s Day weekend at Aruga At The Grove by Rockwell. 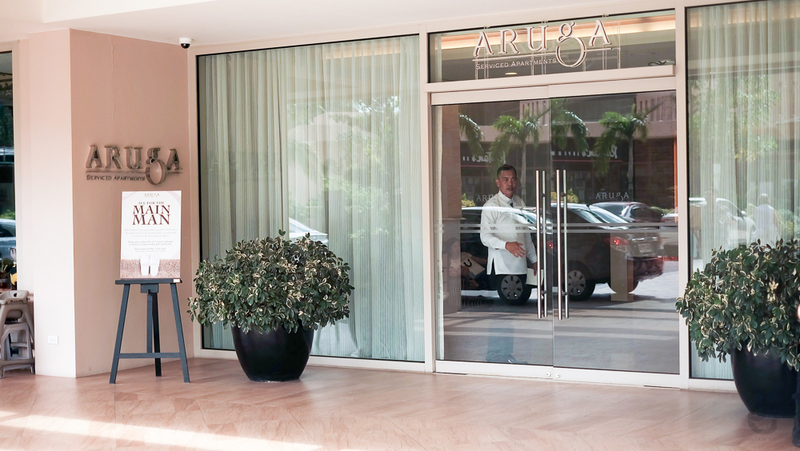 I honestly didn’t know The Grove has Aruga, a service apartment by Rockwell Hotel. I only knew of Aruga by Rockwell in Makati. 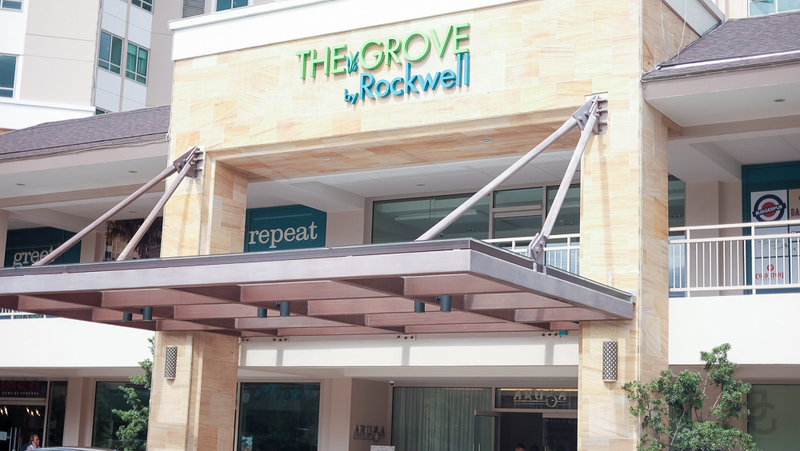 The former started service only a few months ago, weaved in The Grove’s lifestyle and community complex, Aruga At The Grove boasts of hospitality. 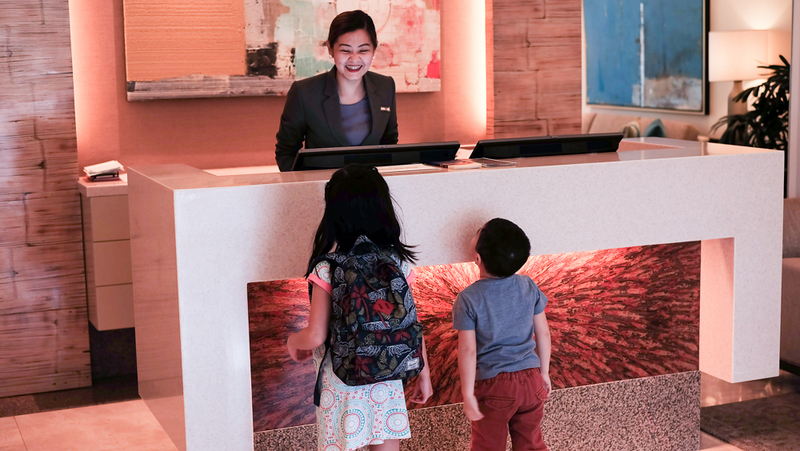 The moment we arrived, we were welcomed warmly. 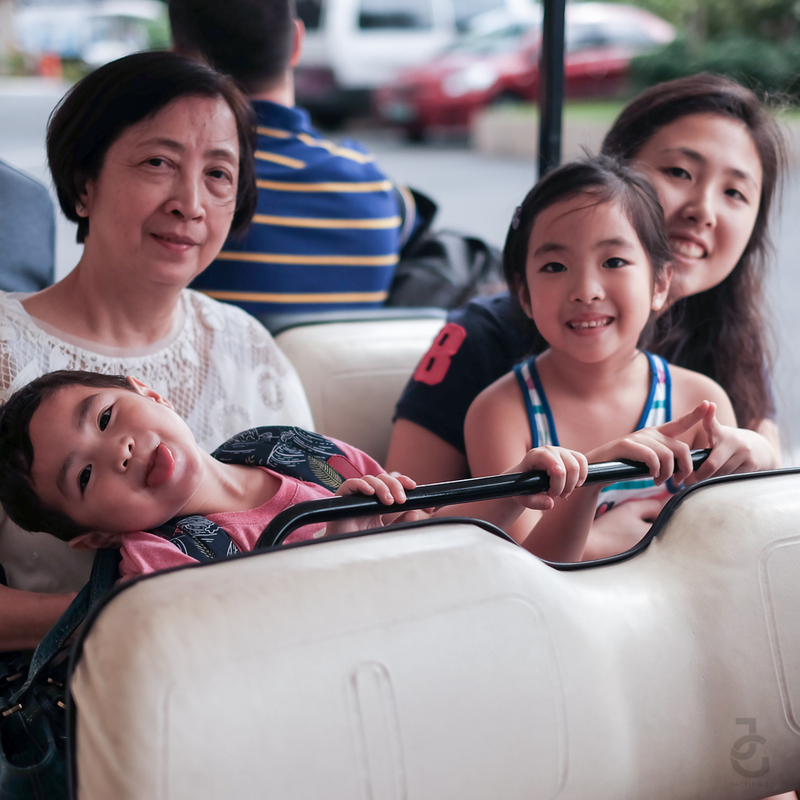 We spent Father’s Day weekend with our favorite extended family–my in laws. 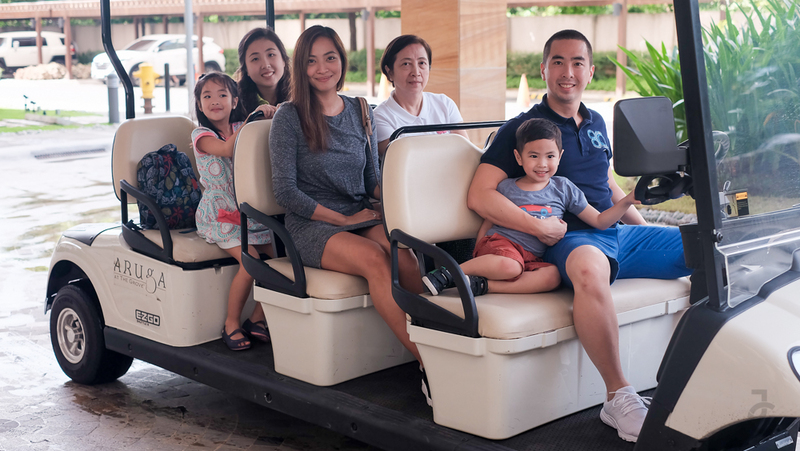 From the check-in counter, we rode a golf cart going to one of The Grove’s towers where our apartment was. Refreshments were waiting the moment we entered the apartment. 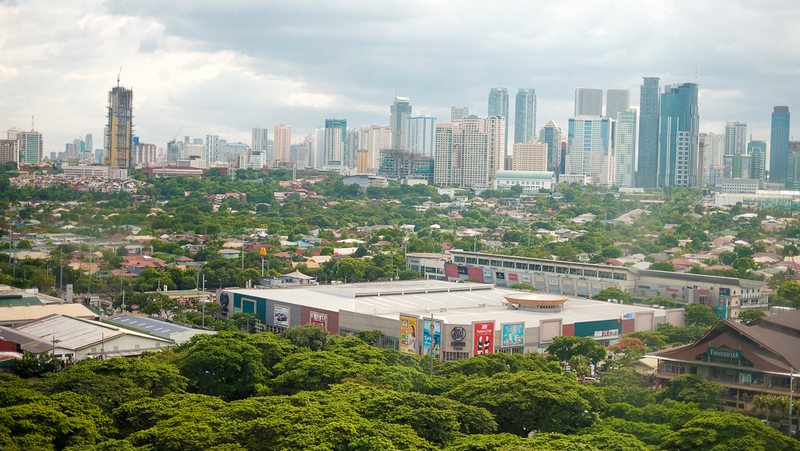 A view of Pasig where SM Pasig & Tiendesitas are clearly seen from our living room. 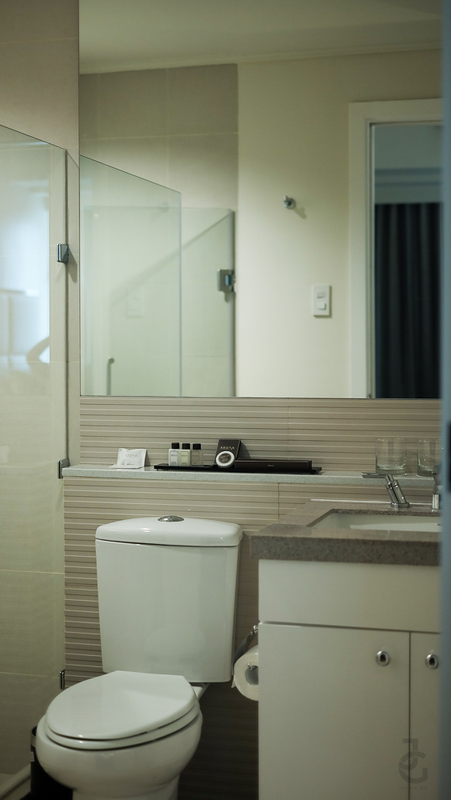 Aruga by Rockwell offers fully furnished apartments each sporting an Asian Contemporary style. 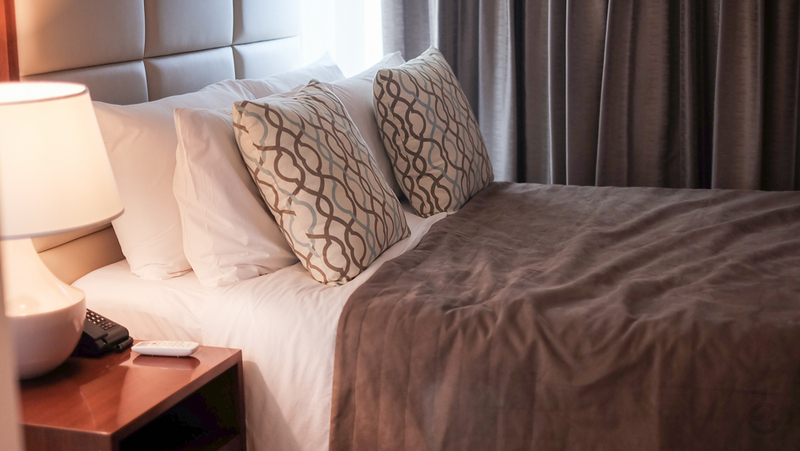 Whether you’re a traveller or a local wanting a quick getaway or a home in the city, Aruga has a unit that will suit your accommodation needs–from studios to one or two-bedrooms. 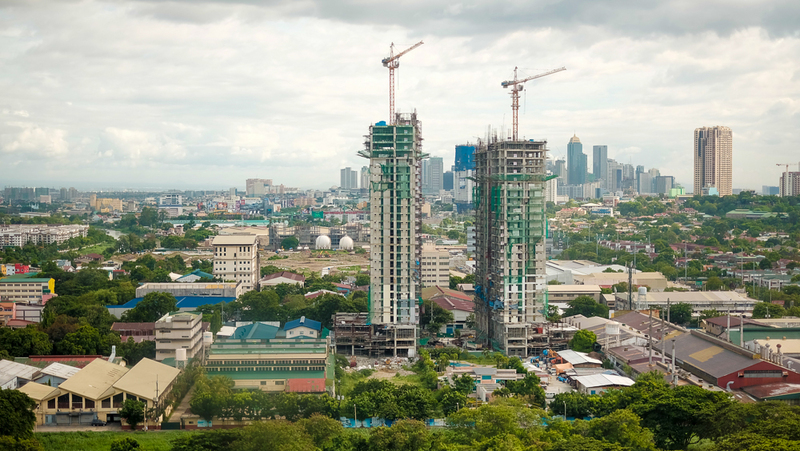 The industrial side of Pasig City. Parang gusto ko biglang mag-shoot with an industrial background/theme. 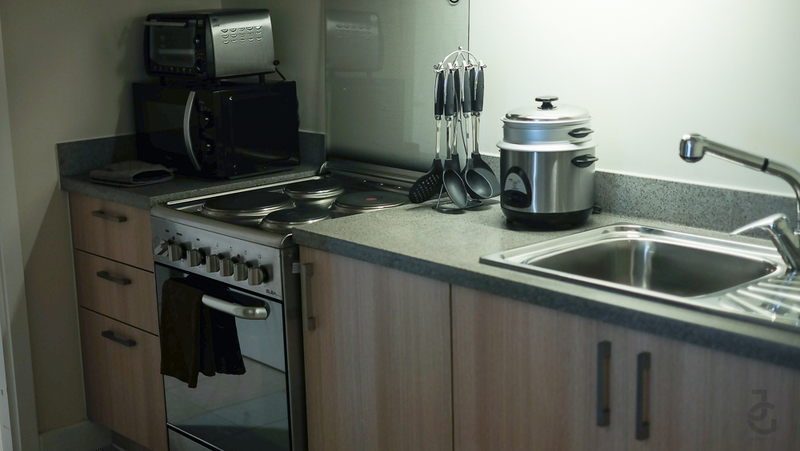 Each unit is complete with not only furnitures but kitchen tools and toiletries as well. Me & my lil’ snacker bonding over food before anything else. These two found a “secret hideaway” in their Aruga room. A ledge right across their bed where according to them no adults are allowed simply because no adult can fit in. Cute! 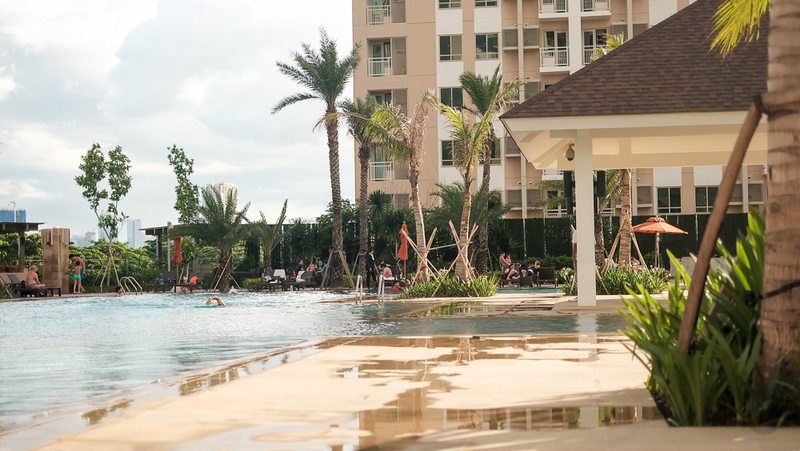 If you stay in Aruga At The Grove, you get complimentary access to their lap & kiddie pools which are conveniently located on the 4th floor. Of course my water babies spent most of the day in the pool. 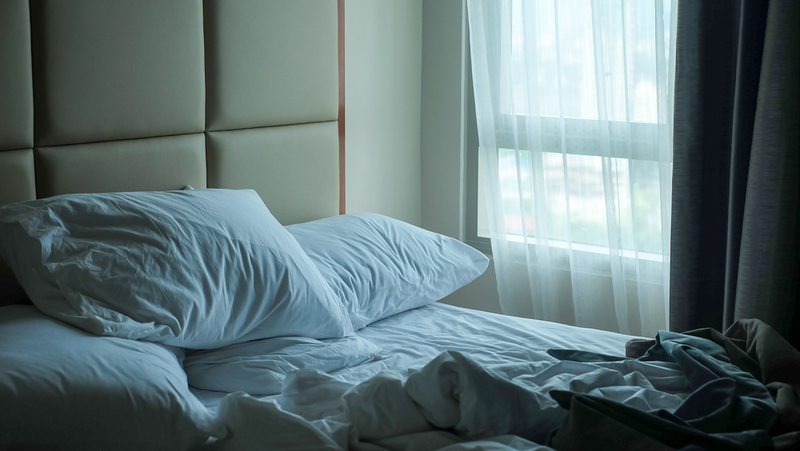 Soft, hotel bed is my weakness. 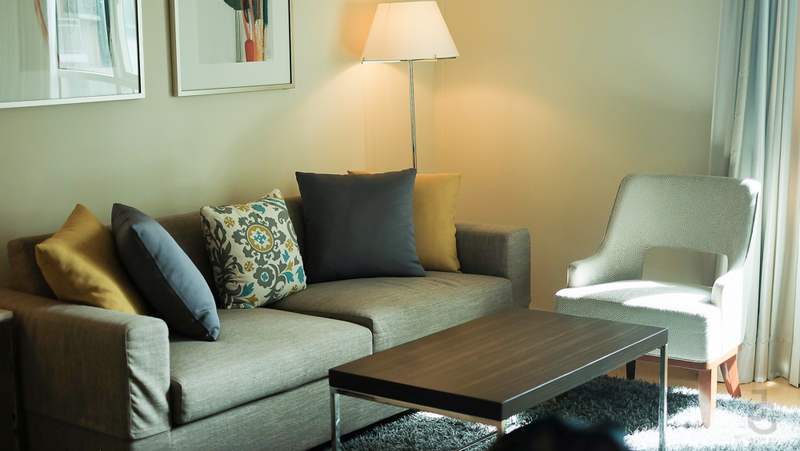 The relaxing ambiance of our apartment warrants us for an afternoon siesta before we headed out for dinner at Asakusa which is conveniently located at The Grove. 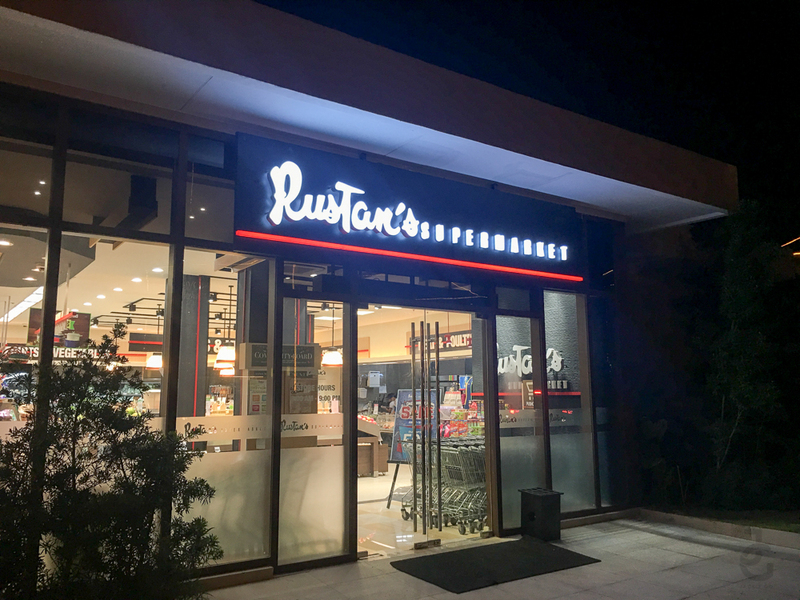 And because our stay came with Rustan’s Supermarket gift certificate, after dinner we shopped for some midnight snacks. 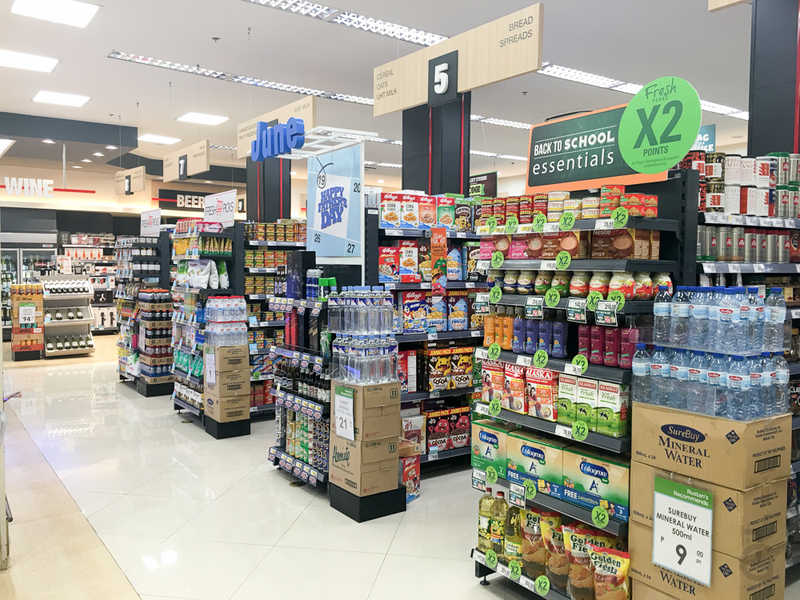 Love that some of items give me x2 points on my Rustan’s Fresh card. Fresh perks indeed. 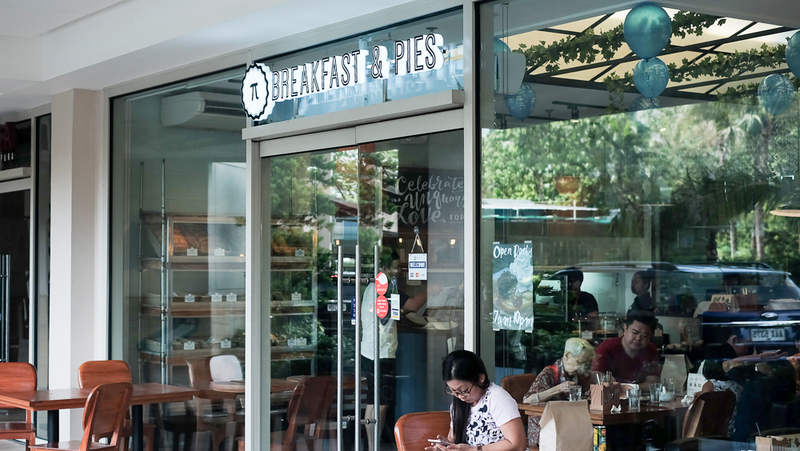 We woke up craving for breakfast so we hurried to Breakfast & Pies which is right beside Aruga At The Grove check-in counter. 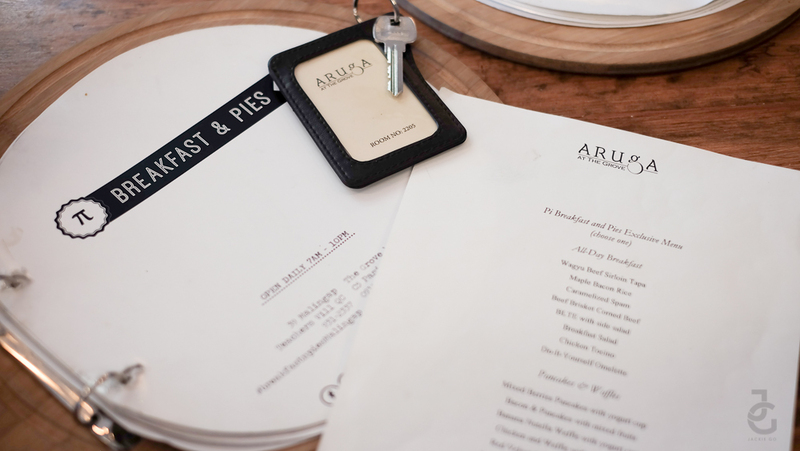 Breakfast & Pies is one of the partner restaurants of Aruga At The Grove where guests can claim their complimentary breakfast. These two having a daddy-daughter moment shortly after we were seated. I sense they were keeping tabs of who will order what. The Grove Retail Row has a promo! 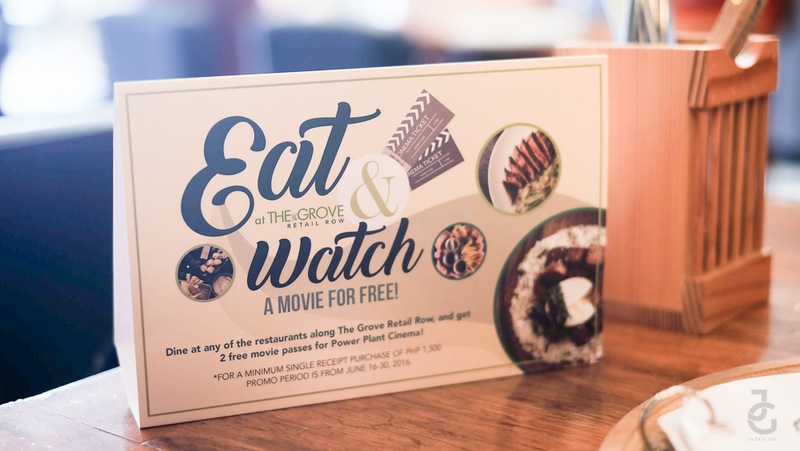 For a minimum single receipt of Php 1,500 at any of The Grove restaurants, you get 2 free movie passes for Power Plant Cinema. Hurry though, this is until the end of June 2016 only. After filling our bellies with breakfast, we prepared for church. The Grove offers Sunday Mass at one of their function halls. This is a plus points for me. We are regular church goers so even when we’re on staycation/vacation we make sure to attend service. 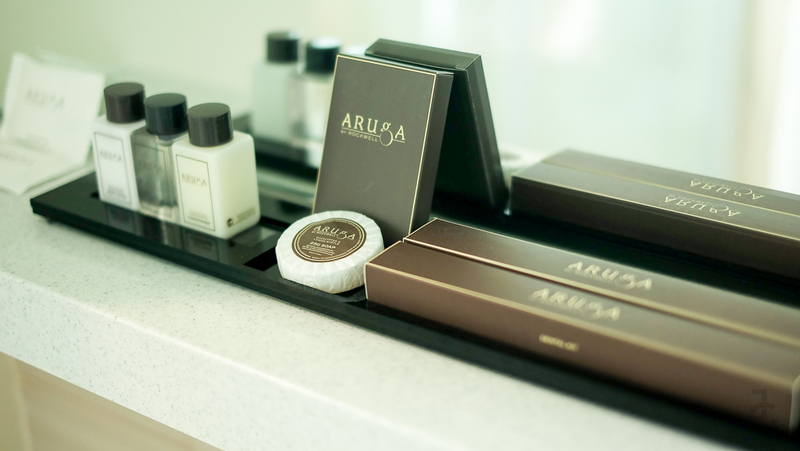 Thank you Aruga At The Grove for a relaxing stay. Happy Father’s Day again to our main man! For the things you do and don’t do, we love you! Not too late to celebrate at Aruga At The Grove. 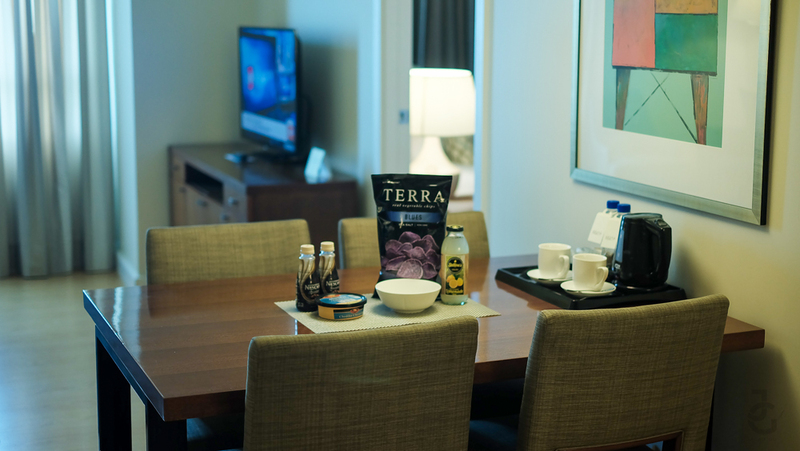 Treat dad with a relaxing staycation and get a complimentary in-room massage or Rustan’s Supermarket gift certificate. Also, Dunlopillo is having a weekend sale! Drop by Edades Function Room in Aruga by Rockwell in Makati. Mattresses as well as select Dunlopillo are on sale! Huge savings of up to 80%! 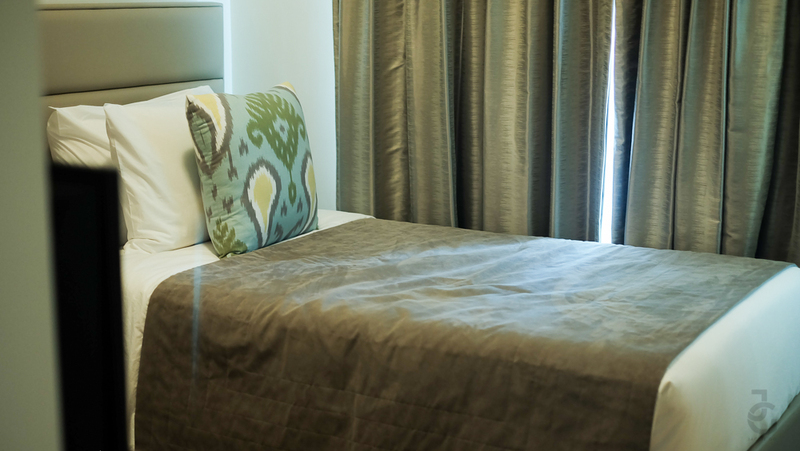 So if you’re in the market looking to upgrade your mattress or change your pillows, now’s the perfect time! Check out Dunlopillo Philippines on Facebook to know more.